8 Light Crystal Chandelier. The Joanna crystal chandelier will give you the best of both worlds in an antique styled iron metal frame featuring a modern high polished chrome finish. It will be easy to achieve a high class, stunning focal point in any design space with The Interior Gallery's crystal chandeliers. Our crystal lighting fixtures are made with highest quality K9 crystal containing a 30% full lead oxide content. This will ensure pure optical clarity and wide ranging spectrum of coloring. 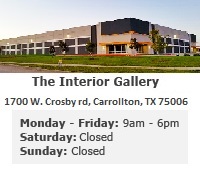 The Interior Gallery will always bring you the highest quality of pieces while allowing you to purchase at a factory direct low cost. All of our crystal chandeliers are precision machine cut and then polished to achieve maximum shine. Achieve a sophisticated, timeless look amongst any decorating style with the addition of our crystal lighting chandeliers.